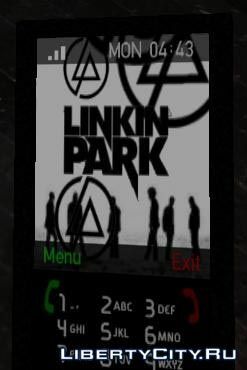 Theme for the phone for these fans Linkin Park! New jackets (4 jackets to choose from) for Luis depicting the main characters of the popular animated series South Park (South Park). The colors of the jackets were chosen specially for the color of the clothes of the cartoon characters. Кто нибудь пожалуйста сделайте скин Вэй Шеня из Sleeping Dogs. Буду очень благодарен! Уау обожаю линкин! А гта 4 тоже! Вот класс! А можите закинуть мелодию The End Reanimation?